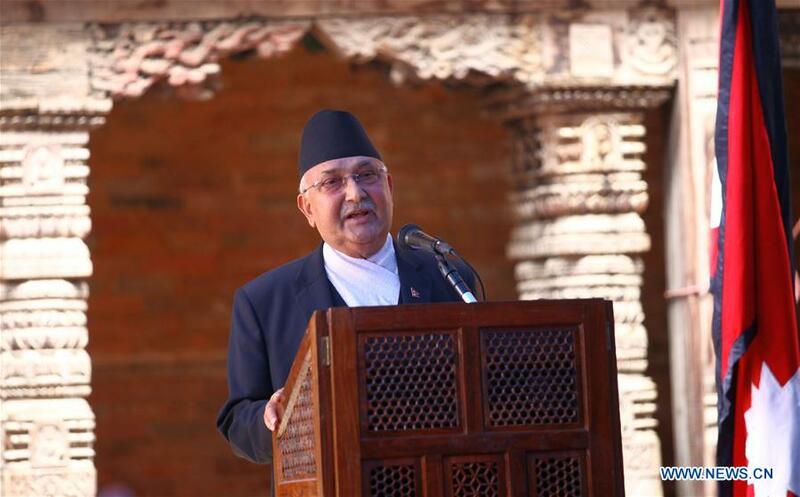 Nepal’s Prime Minister Khadga Prasad Sharma Oli addresses the inauguration ceremony of the newly restored historical monument Gaddi Baithak Palace at Hanumandhoka Durbar Square in Kathmandu, Nepal, June 27, 2018. 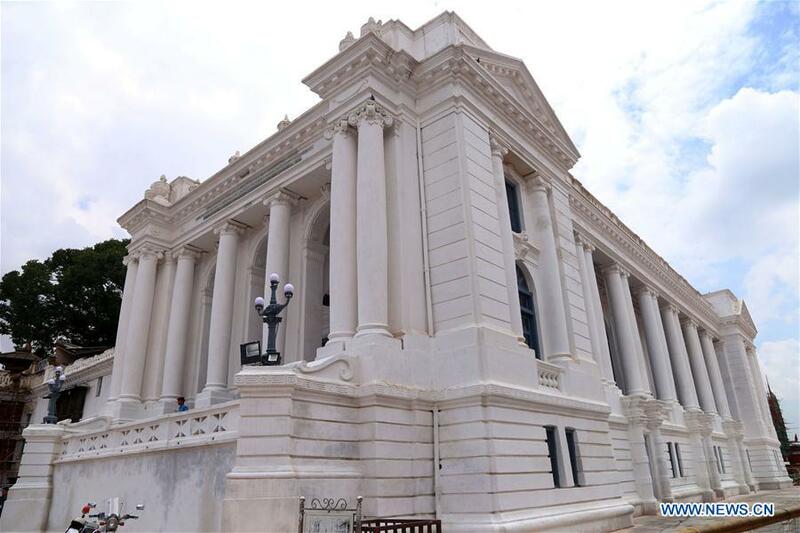 Gaddi Baithak Palace, which was damaged in the earthquake in 2015, was inaugurated Wednesday after restoration. Photo taken on June 27, 2018 shows the newly restored historical monument Gaddi Baithak Palace at Hanumandhoka Durbar Square in Kathmandu, Nepal, June 27, 2018. Gaddi Baithak Palace, which was damaged in the earthquake in 2015, was inaugurated Wednesday after restoration. 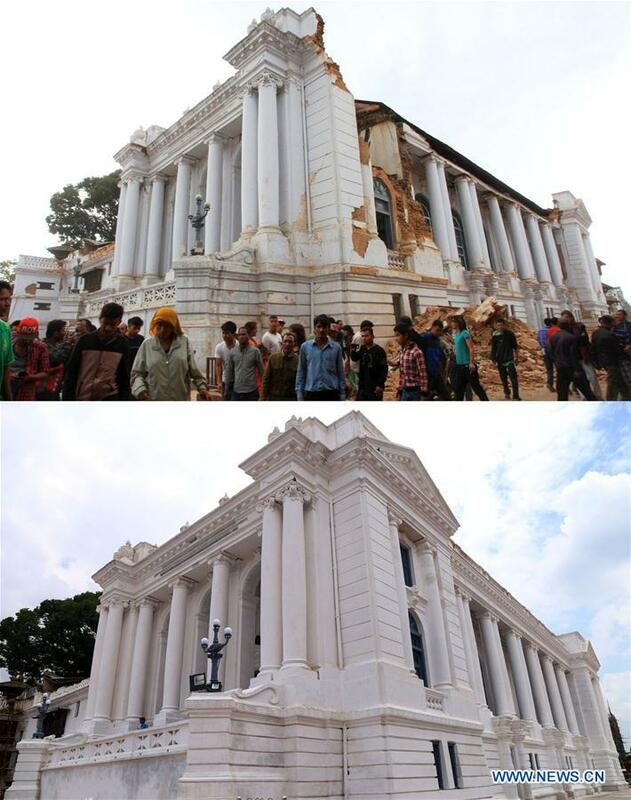 The combo picture shows damaged historical monument Gaddi Baithak Palace during the massive earthquake on April 25, 2015 (top) and the newly restored Gaddi Baithak Palace on June 27, 2018 (bottom) at Hanumandhoka Durbar Square in Kathmandu, Nepal. Gaddi Baithak Palace, which was damaged in the earthquake in 2015, was inaugurated Wednesday after restoration.